Since February 2014, Showforce has been supporting leading creative agency My Beautiful City bring some of the world’s most talented designer collections to life at the prestigious London Fashion Week. This year Showforce’s corporate event crew completed more than 100 shifts and 600 hours for My Beautiful City. Deployed all over London to support at the Naked Heart Foundation charity event and 3 high profile catwalk presentations for Ambika, Central St Martins MA and Vivienne Westwood, the crew assisted with various tasks including the unloading and movement of furniture around venues, set up and painting of press seating, assisting lighting department’s rig and de-rig, the set up and removal of a DJ booth and kabuki drop and working closely with production to help with various show turnarounds. My beautiful City also utilised the Showforce crewman and van service, hiring a Luton to transport seating and store overnight. 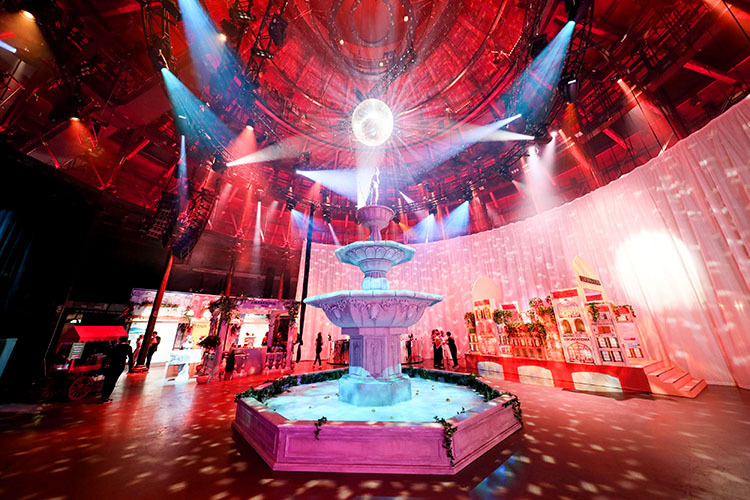 Showforce was able to accommodate the various schedule changes and crew additions required of a job such as London Fashion Week and received positive feedback from site contacts regarding both crew and back office performance.